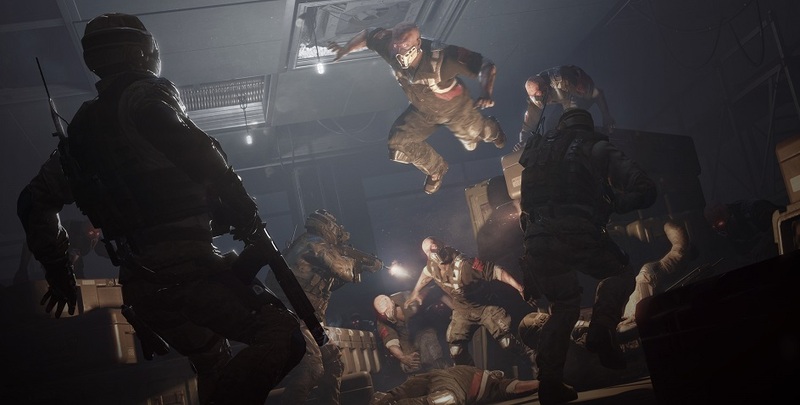 In any PvE mission, whether it’s a quick mission or a full-scale raid, your Warface squad will face enemies controlled by an artificial intelligence. Do not underestimate these enemies — at high difficulty levels, these soldiers can destroy your entire squad in mere seconds. To help you be prepared for any situation, we’re going to tell you about the main types of enemies. We’ll start with ordinary enemies that you encounter in practically all missions. Rifleman. A front-line soldier armed with an assault rifle. Tries to keep at medium range, but is dangerous in hand-to-hand combat — few enjoy getting hit with a rifle stock. Moves around the battlefield and uses cover when necessary, making them a difficult target for aimed fire. CQB. Armed with a shotgun, making them a dangerous opponent at close range. Can kill with one shot at high difficulty levels, and even the strongest bulletproof vest won’t save you. A canister of shot at point-blank range is no joke! Try not to let them get close and kill them first if possible. Sniper. 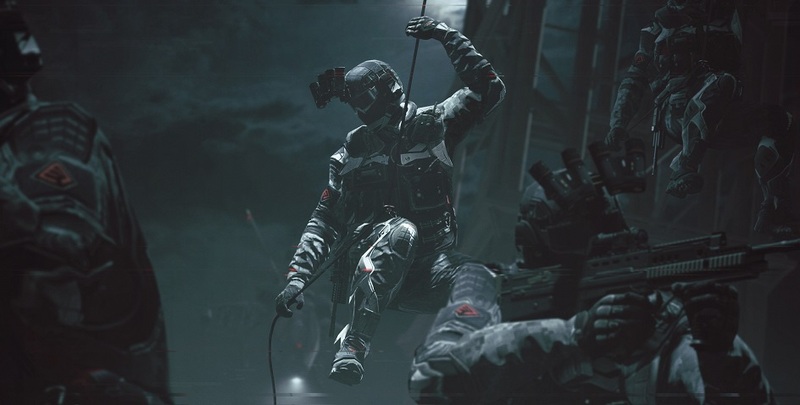 Skilled in the use of long-range sniper rifles and usually occupies high positions. Keep a careful eye on the upper floors and roofs of houses — this enemy can represent a serious threat to your squad. In rare cases, they are armed with powerful bolt-action rifles with laser sights, capable of knocking you down even with a non-lethal hit. Demoman. “Explosions make everything better” is this soldier’s motto. Deals high damage in an area, and can destroy an entire squad in just a couple of shots. In addition, deals significant damage to armored vehicles. It is recommended that you take these enemies out as soon as possible. On close contact, switches to a 9 mm Desert Eagle pistol, a weighty argument in any hot debate. Shield Bearer. A close-range soldier armed with a club and a pistol, protected by a heavy shield impenetrable to direct fire. This is a fearsome opponent, especially if several attack at once. Can knock you off your feet in one hit, so keep them at a distance if possible by destroying them with aimed fire on areas of the body unprotected by a shield. Specops. An elite battle unit of the Blackwood army. Shrouded in heavy armor and armed with a powerful and precise gun with a laser sight whose bright beam can make it harder to hit them with aimed fire. Try to find cover and don’t go up against them in an open firefight. The average specops soldier can fill you full of lead in a few short seconds. Normally occupies high positions, but can be found on the ground leading a small squad. In future articles, we’ll tell you about other types of enemies: cyber soldiers, mechanical turrets and minibosses. Winter is coming! 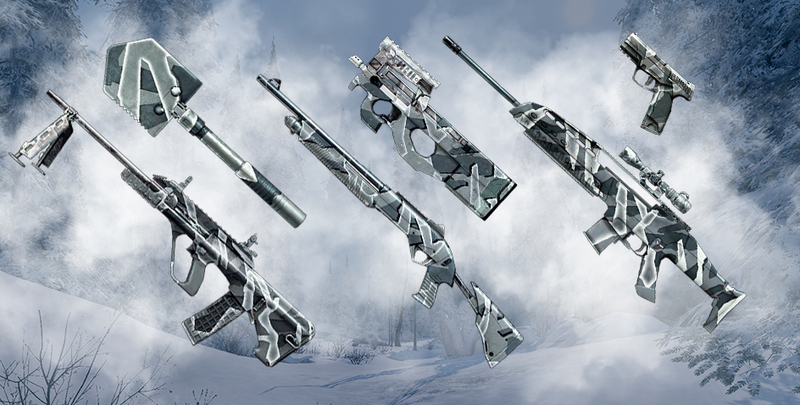 Best time to hit the game shop — it's just got updated with the "Winter Camo" series for your upcoming Cold Peak raids! Now to continue telling you about the enemies the Warface squadron will face in its dangerous missions. Reliable weapons are the key to success!